I was invited to be a part of a monthly project with a group of other moms/photographers. Each month we will share a blog post and images that correspond with the theme For The Love. For this first post in the series, I’ve decided to share images of my three little loves. That part was, of course, a no-brainer. 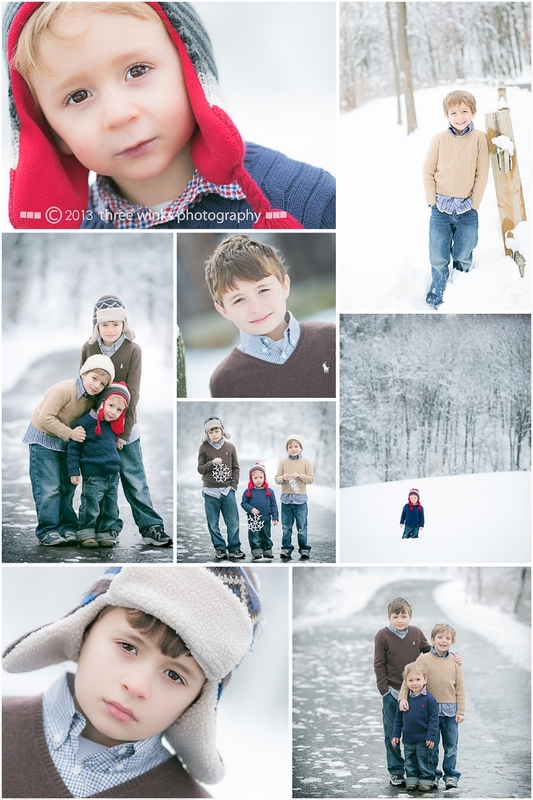 This post is devoted to my love for my boys and my love for… wait for it… SNOW! I’ve only recently learned to embrace winter here in Western, PA. It can be long, very long, and grey, very grey. But when it snows, it is magical. These images were taken on a snow day last week. I love snow days! I was so excited to have all three of my munchkins home with me. I think I might be one the only people who isn’t tired of the snow. It is March after all, and I can understand how the many, many months of cold days could be wearing on you… But the snow is just so beautiful! It was a really mild morning, and the snow didn’t hang on those tree branches for long. I took my guys out early in the morning for some snowy photos before heading back home to bundle up and let the snow fort building, snow ball fighting and snow man making begin! Now on to the talented Jennifer Stein to see how she interpreted our For the Love theme! Jill, You have three very handsome boys, and I love how you embrace the snow and weather where you live! Looking forward to the year! I miss snow so much! Beautiful pictures! Jill, you are so talented. I love your use of color against that gorgeous snow (I can appreciate your snow since I live in south Texas). Your boys are just adorable too! We are fabulous! I just love these!!! I’m seriously sitting here with my mouth open. Spectacular. The light. The beautiful boys. Their outfits! The snow. Amazing. Although, it is hard to believe on a day like today. SPRING IS COMING! And spring is an absolutely beautiful time of year for photos. Those gorgeous blossoms and blooms will be here and gone before we blink. If you are interested in getting on the schedule for a session this spring, now is the time to contact me. I’m sure this little ray of sunshine will bring a smile to your face on this grey, rainy day. 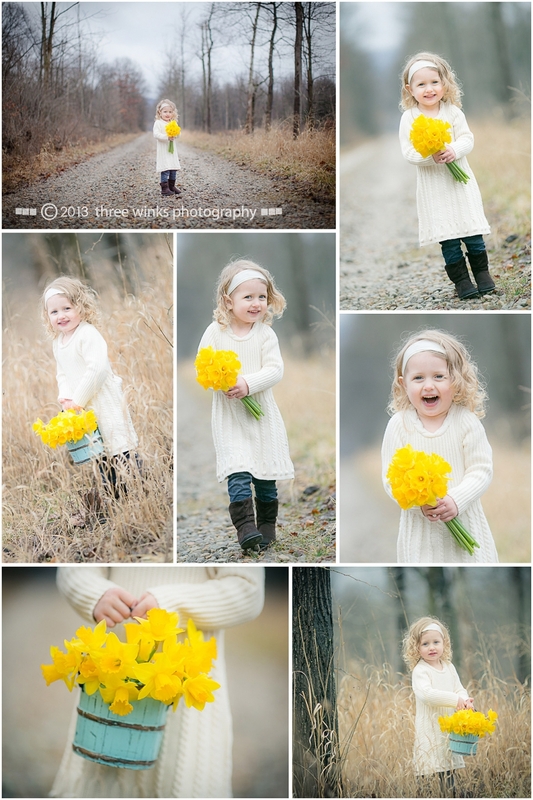 She was absolutely wonderful for our little session this morning despite the cold, yucky weather. I love the bright yellow flowers…and how they hint at Spring! Beautiful images. I absolutely love taking photos in the snow. The world just looks so beautiful when it’s covered in a soft blanket of white. 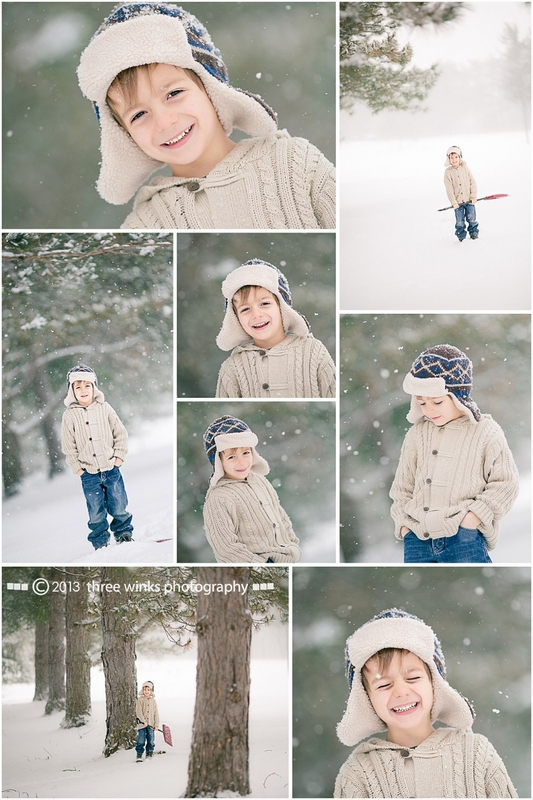 Today was Elliott’s turn for some fun, snowy photos. He is our clown – so full of silly antics, laughter and personality! I just adore this kid! Tomorrow I will be three fourths of the way through my cancer treatment. I will be finished with 6 of 8 ABVD chemotherapy infusions, or three of the four cycles. When instead I should be three fourths of the way through my pregnancy. I should be finishing the 30th of 40 weeks. A lot of you may not know that just before my cancer diagnosis, I had a miscarriage. We were happily expecting our fourth little baby on Cinco De Mayo – a fitting due date for this Mexican and margarita loving family. It was September when we lost our little chilli pepper at 8 weeks gestation. The day after the miscarriage I came down with a horrible cold and spent the next two weeks in bed with terrible fatigue, a sinus infection, out-of-control hormones and overwhelming grief. After two weeks I finally caved and got an antibiotic. The swollen lymph nodes I had been feeling in my neck and chin resolved but the ones above my collar bone and in my armpit did not. When looking in the mirror it was apparent that something was wrong. My left shoulder and armpit were swollen to the point my collarbone was not visible on the left side. I started to search google and was quite alarmed by what I found. Swollen supraclavicular lymph nodes have a nearly 70% malignancy rate. They can be associated with Hodgkin’s or non-Hodgkin’s lymphoma or metastasized gastric or abdominal cancers. I made an appointment with my primary care physician. He referred me to an oncologist. An oncologist. Breathe. While I wasn’t surprised, I definitely wasn’t ready for it. Getting cancer was one of my greatest fears. (Just ask my kids. They’ve been reminded over and over that they don’t want to get cancer as I deny them sweets and processed junk food. Ha!) I can’t explain the anxiety I felt opening the door to the oncologist’s office and waiting in the waiting room to be seen. The oncologist confirmed that “Dr. Google” was right and the swollen nodes were cause for concern. He scheduled a biopsy. The biopsy was performed the following week resulting in a preliminary diagnosis of lymphoma. ” It’s cancer.”- two words I wasn’t hoping to hear. It took several weeks for the final pathology, Hodgkin’s lymphoma nodular sclerosing type. From the time I scheduled my first doctors appointment, I did not sleep for two weeks. For those two weeks, I read and prayed constantly and was filled with a heart racing, panicked anxiety 24 hours a day. It was a very dark time. But God held my hand through that very dark valley, and now He’s walking me up the other side of the facing mountain. The view from here is spectacular. I am changed. I am grateful. I am more patient and more loving. I have a renewed appreciation for all the tiny and miraculous details of God’s amazing creation. I stand in awe of my gracious, compassionate God. There is a lot more to the story between the discovery and diagnosis I talked about here and where we are now, three fourths of the way through treatment. I’ll probably fill in the blanks later about second and third opinions, supplements and natural treatment regimes, holistic doctors, raw foods diets, etc. and how God directed my steps through it all. Of course, if it were my choice, I would prefer to be ten weeks from meeting my precious baby instead of three doses away from the end of cancer treatment. But I’m not in control. God is. And He only gives us good things. As hard as it is to explain or to understand, this cancer trial has been a good thing. I have learned so much through this experience. Our destiny, both now and in eternity, is shaped by how we respond to God’s plans for us. I have been overwhelmed by love and support from family and friends, and I am often overwhelmed by God’s providential care. My husband just reminded me of a cheesy quote that seems fitting for my photo blog: “Life is like photography. We develop from the negatives.” Is this still relevant is the age of digital photography? Ha! Well, either way it is certainly true that personal growth is accelerated by adversity. Jill – you are the strongest person I know. God and your family will see you through this. Love you very much and am always praying for your recovery! Jill, I hate that we have to be cancer buddies, but this is beautiful. Thank you for sharing. I continue to pray for your complete healing. Jill, I had no idea you were going through cancer treatment. I pray for a speedy recovery, complete healing, courage, and strength for you and your family. Please let us know when you finish with your last treatment so that we can celebrate with you and give thanks. I found your blog through a link from Jan M. I will be praying for you. I can empathize with you. And yes, cancer does/will bring you closer to God. It’s kind of a shame that it “works” that way, but I suppose it is human nature. Glad to read that you have a great support group! Bless you and I will be praying…and blog reading! You are so brave! Your post brought tears to my eyes, I pray for your complete healing and recovery. Anna directed me to this blog entry. She was so impacted by reading your story, in your own lovely and deeply honest words, and so was I. Your courage, commitment, and continued faith are awe-inspiring. I too believe there are incredible gifts hidden in these nasty life trials that ultimately, if we are willing to trust, lead us to gratitude. Thank God for you and for the gift of this day, this life, and this family! Jill, I am..speechless. That fear, I so feel for you having to go through all this. I wish I could be closer to help out in some way. You really have inspired me with your thread. I will continue to follow your story and wish you the very best outcome!